Think the electric range reached its pinnacle with those slick, easy-to-wipe glass stovetops? Not even close. Gaze upon the conceptual William and be amazed. Though it shares the same flush design as other modern ranges, the William does away with the old concept of circular burners by replacing them with 1,500 individually heated ceramic tiles across the entire surface. By sensing where you place a pot or pan, the stove intelligently heats up the areas under it, no matter where you happened to place it. 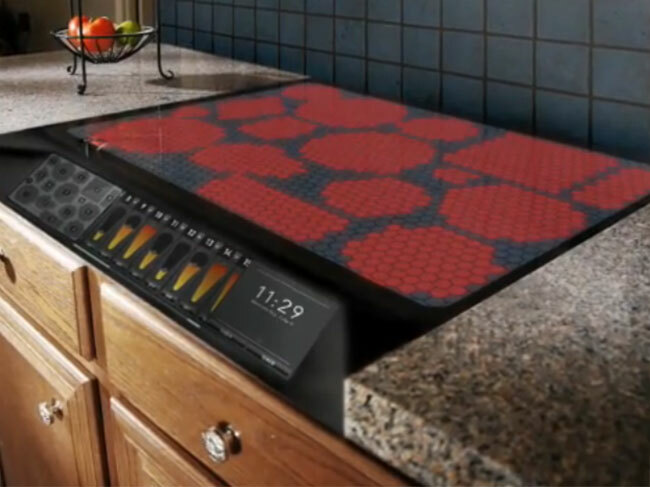 Besides accounting for different shapes and sizes of cookware, the design would allow 85 percent of the stovetop for heating, as opposed to just 25 percent on a conventional stovetop, and could support up to 21 unique signatures, or heated items. Check out the video from designer Greg Beck, but don’t head down to Home Depot just yet – it’s still just one man’s dream and a YouTube video.